Agri Beef Co., Inc. is a vertically integrated beef producer which produces and supplies beef and pork products to restaurants in the United States and internationally. As the largest beef producer in North America, the company specializes in high quality meats with unique marbling and flavor properties which the company markets to upscale restaurants and specialty retail grocers under the Snake River Farms brand. Agri Beef was not happy with the performance and stability of their Magento based web store, due to which they were losing customers and seeing declining sales. They were looking for a Magento partner to help them optimize their Magento site by resolving the issues, as well as implement a customized shipping solution in Magento, in order to present a cleaner, more simplified checkout experience to their shoppers. The company chose to partner with Folio3 for this project due to Folio3’s deep expertise in Magento and due to their prior experience of working with Folio3 for their Dynamics AX development requirements. To fix the performance issues on Agri Beef’s Magento site, the Folio3 team first conducted an in-depth audit of the store. Based on the results of this audit, the Folio3 team made a number of changes to the site’s code (to make it update friendly), store settings and extensions (updated all extensions to the latest versions), along with upgrading the site’s PHP to version 7, in order to enhance web store performance. Folio3 also deployed a number of security patches and extensions on Agri Beef’s Magento store, including the Kount ecommerce fraud prevention tool. In addition to these enhancements, Folio3 developed and deployed a custom built, one of a kind shipping solution called Shipping Manager on Agri Beef’s Magento store, within the short span of 3 months. The solution is fully integrated with their Dynamics AX back office and works by extracting shipping details such as shipping cost, shipping rates and shipping method from multiple logistics providers (such as DHL, FedEx, etc.) based on the order and customer data (on checkout), abstracts the details, and presents the user with a set of simplified shipment options to choose from, thereby eliminating the hassle of shipment vendor selection on checkout. The deployment of the Shipment Manager solution on the web store also streamlined Agri Beef’s order fulfillment process, since they are now able to limit the shipping options presented to customers to only a pre-set few, which are recommended by the company itself. 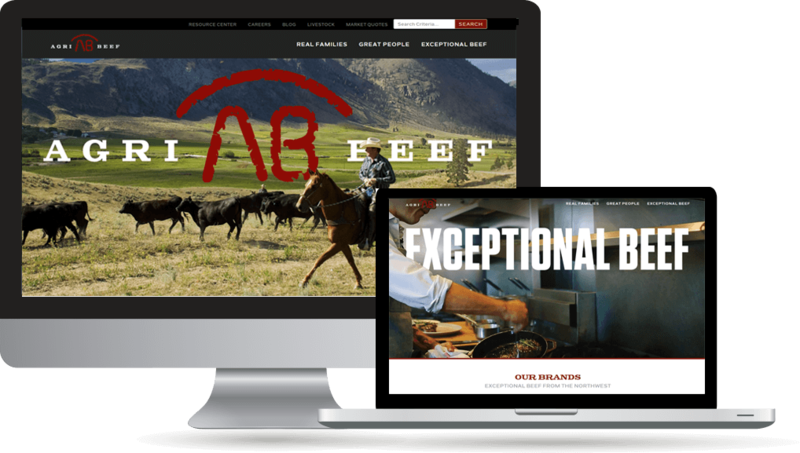 Thanks to the performance and user experience enhancements made by Folio3 on their Magento web store, Agri Beef achieved record breaking sales on their web store during the 2017 holiday sales season, which surpassed all their previous sales records. Their updated Magento web store also received praise from their customers, for the streamlined shopping experience it now offers. Agri Beef was so pleased with the results that it has engaged Folio3 as their Magento development partner (replacing their previous Magnto partner Gorilla Group), to provide maintenance, support and development services for their ecommerce operations. “Folio3 did a terrific job implementing the performance and user experience enhancements on our Magento store, particularly the Shipping Manager solution. This was our first major Magento engagement with them and it went off flawlessly. We look forward to a strong partnership with them, as we introduce change to our ecommerce platform and processes”. Executive Director of IT, Agri Beef Co.